I forgot to mention that I ran into the VT Sporthorse Breeding team at Lexington, and Lucy is in foal to Highlife's Diamond Stud (see pic above). 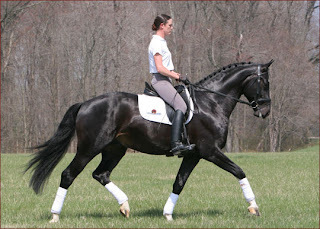 He's super fancy, and she's such the gorgeous diva - it should be a great cross. Her foal was a little too young to make the trip down for the breed show, so I'm still waiting to see him in person! With Lucy and Weltmeyer genetics, I bet he's a fireball! 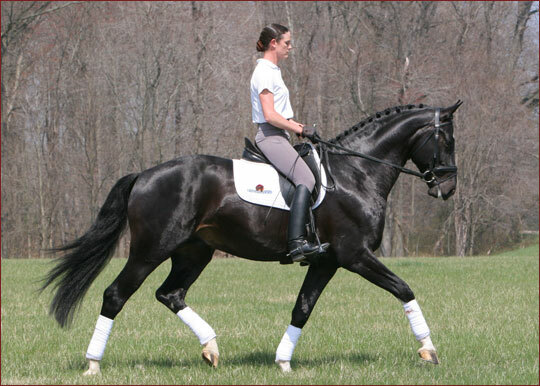 Am I really going to get to show this fun horse? Rain and a Sunday Surprise!